Many parcels in Wallingford would change from Single-Family to Lowrise 1, Lowrise 2, or even Lowrise 3 zoning. Be heard and be seen to let the City Council know of your concerns! For those who wish to testify, sign-up sheets will be available starting at 5:30 PM. Get in line early in case there is a crowd. Alter the Urban Village boundaries to spare 700 Single-Family homes from being upzoned to multi-family. 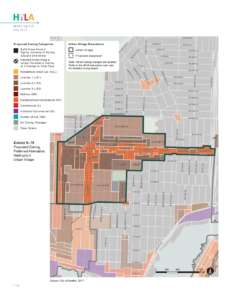 The City’s affordable housing goal for our neighborhood is still met with those altered Urban Village boundaries. 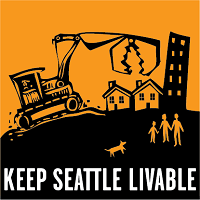 Prevent massive developments next to houses. Many of the up-zones change building heights from three stories up to five stories! Require setbacks and step-downs to preserve yards, trees, and daylight. Require true family housing in all zone definitions. Add density limits back to the zone definitions so that two-, three-, and four-bedroom units are built throughout the neighborhood. Bryant, Laurelhurst, Ravenna, Sand Point, View Ridge, Wedgewood, and Windermere neighborhoods. This entry was posted in Calls to Action, City Council, Land Use, Parking, Quality of Life, Schools, Transportation, WallHALA on February 11, 2018 by Frank Fay.